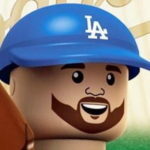 On this episode of “Dugout Blues,” Allan and I are back to talk about the first almost two weeks of the Dodgers’ season. Things are going about as well as can be expected. We recorded before last night’s game, but the Dodgers have won eight of their first 10 games, thanks in large part to the best offense in baseball. Literally. They’ve scored 82 runs in their first 10 games — a totally sustainable pace. Cody Bellinger has been the catalyst, as he leads MLB with 7 home runs and has been the best non-Mike Trout player in the game so far. It’s early, but Bellinger has the look of a guy who can carry the offense. Clayton Kershaw made his first rehab start with OKC, and it went about as expected. He was 88-90, maybe hit 91 MPH and gave up a couple runs in 4 1/3 innings. He’ll make one more rehab start (we thought OKC during the recording, but it’ll actually be with Tulsa) before he could be activated from the injured list. Rich Hill also threw a bullpen session over the weekend. He’s still in a brace for his sore knee, so I’m expecting him to be out another 2-3 weeks, if not longer. If he doesn’t debut until May, that wouldn’t be at all surprising. The bullpen has struggled a bit so far this season. Yimi Garcia, Joe Kelly and Brock Stewart have been the three who have struggled the most. In fact, Stewart was optioned to OKC in favor of Dennis Santana. This could be a longer-term move if Santana proves to be effective. At least the other pitchers in the ‘pen (Scott Alexander, Caleb Ferguson, Dylan Floro, Kenley Jansen) are pitching well to start the season. We finish the episode with a short Q&A that we, somehow, extend because we’re incapable of giving short answers. Look for new episodes of Dugout Blues every Monday (or every other Monday during the offseason). Don’t forget to subscribe to the podcast and review us on iTunes. We want to make this the best podcast we can so we’re always looking for suggestions and ways to improve. If you have questions you’d like us to answer or certain topics/players you want to hear more about, feel free to email us (dugoutbluespodcast@gmail.com) or send us messages on Twitter (@AllanYamashige or @DustinNosler). You can also “Like” the podcast on Facebook. We always welcome audience participation.